Better late than never, right? We finally got the July issue published (just in time for the Summit) and we couldn't be more thrilled! Our cover and new featured editor is none other than Ryan Millen, of Millen Adventures. You may have seen Ryan around Baja, Taupo, and other various off road races. Well, he shares some of his Baja passion with us in this issue. Jim from Tacoma Mag has some great coverage of Cruise Moab, Beau Johnston from Living Overland shares some TrekPak tips with us, and Tomas from MyFJCruiser.org shares his Hole In The Rock Experience. 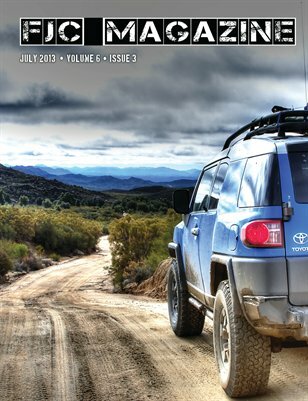 We have Mudfling #7 coverage, Overland Expo 2013 coverage, and much more. Sit back, relax, and enjoy the July 2013 issue!